We just need to add one plugin-dependency to our Mavenized project’s pom.xml. The configuration tells the plugin to let the build fail if a CVSS (Common Vulnerability Score System) value of 4 is reached. 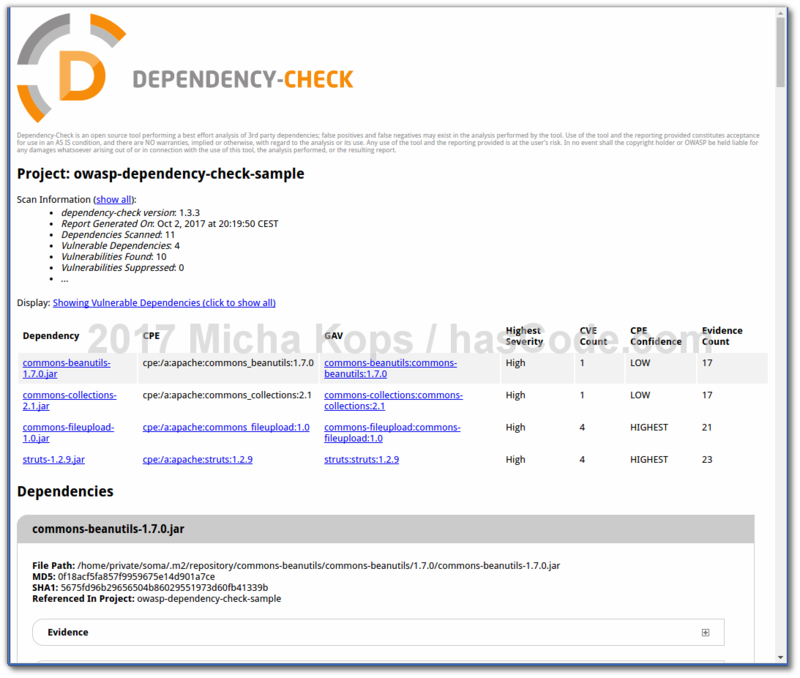 This is a sample project with one dependency on board, struts-1.2.9 which we now want to scan for vulnerabilities..
Now we’re ready to check our project for vulnerabilities by running mvn dependency-chck:check – please be patient – downloading the vulnerabilities archive takes a while …. [INFO] NVD CVE requires several updates; this could take a couple of minutes. We may suppress failures for specific dependencies or artifacts. More detailed information about suppression configuration can be found in the project’s documentation here. This entry was posted on Tuesday, October 3rd, 2017 at 10:59 pm	and is filed under Java. You can follow any responses to this entry through the RSS 2.0 feed. You can skip to the end and leave a response. Pinging is currently not allowed. Hi Micha, this is a great blog. 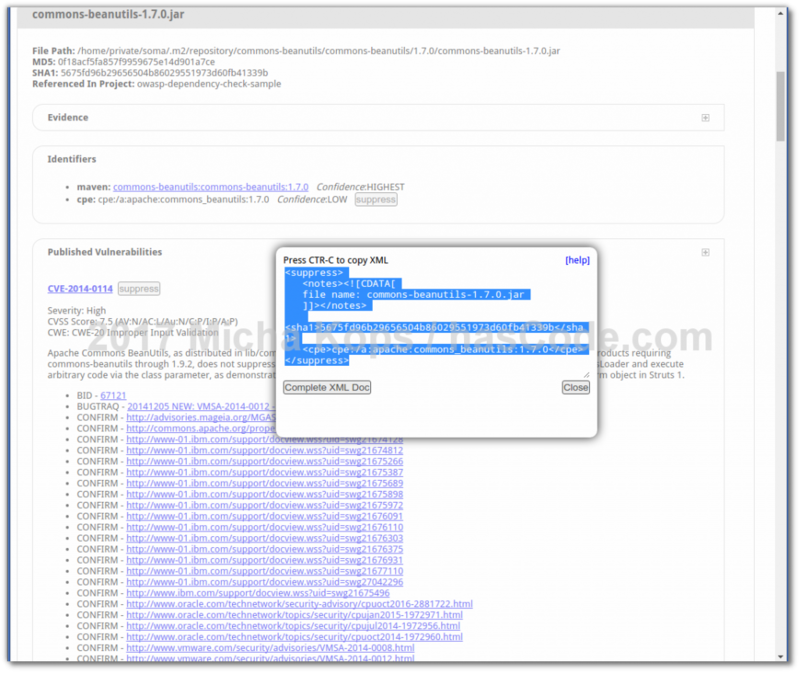 My only question to your walk through of this topic, is where did you place the suppressions.xml file in your project? Did it go under “src/main/java/resources”? Sorry right after hitting submit I saw the link to your bitbucket project. I see you have it listed in the root; so please ignore my first comment lol.